China is offering $1.7 million to a six-country group along the Mekong River to boost regional trade and ease concerns about Beijing’s massive hydroelectric dam projects along the waterway. Healthcare costs in the region are forecasted to spike in the coming years, according to research carried out by Solidiance, an Asia-focused corporate strategy consulting firm. Peer-to-peer (P2P) lending platform Funding Societies has raised $25 million in a Series B funding round led by SoftBank Ventures Korea, in what could perhaps be the largest financing round for a P2P lender in Southeast Asia. Malaysia and Vietnam have expressed concerns over plans by China and the Philippines to jointly explore oil and gas in the South China Sea, Philippine Foreign Affairs Secretary Alan Peter Cayetano said on Wednesday. Southeast Asia’s booming economies are forecast to collectively maintain growth above five percent this year and next. The Asian Football Confederation (AFC) announced that the 2019 Asian Cup draw will be held on May 4 at the Burj Khalifa in Dubai. Thus the market for hard luxury product is also segmented on the basis of mode of distribution channel used for offering products to the consumers. With its One Belt, One Road Initiative and other policies, China has unveiled its own vision for regional order in an effort to expand its political and economic influence. 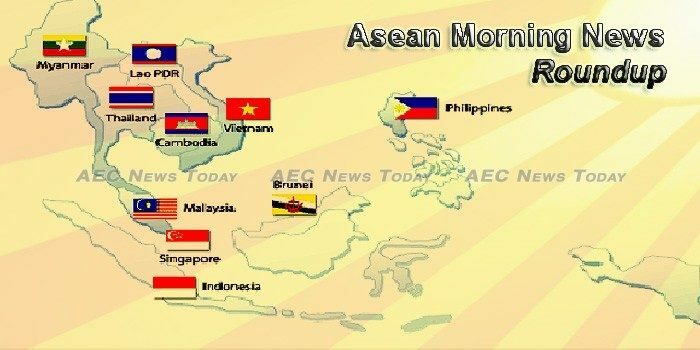 In the five decades since its founding in 1967, Asean has played an instrumental role in bringing peace, stability and prosperity to an erstwhile strife-ridden region. Most Southeast Asian shares rose on Wednesday on a recovery in investor appetite for riskier assets after rosy corporate earnings from Wall Street boosted sentiment. Japan and the UK have been strengthening their cybersecurity collaboration over the last six years. One startling figure about recent global growth is that 82 percent of all the wealth created last year went to the top 1 percent. After focusing on economic growth for a number of decades, developed and developing countries alike have been increasingly concerned with equality. From ubiquitous palm oil and rubber estates in Malaysia to long beaches and pristine waters in Indonesia, Southeast Asia is home to a wide array of resources and locations of interest. Italy, a European giant in its own right, is observant of this matter and has realised the tremendous financial potential that the region has to offer. The Southeast Asian ride-hailing market was jolted by the recent announcement of Uber’s retreat from the region. At first glance, it would appear a dramatic victory for Singapore-based rival platform Grab, which acquired Uber’s Southeast Asian operations in exchange for a 27.5 per cent stake. The India–Myanmar–Thailand Trilateral Highway is that will connect India with the ASEAN region. The highway will link Moreh in Manipur state (India), via Mandalay city (Myanmar) and to Mae Sot district (Thailand). Phu Bia Mining’s outstanding safety performance has been recognised at the 19th Annual ASEAN Occupational Safety and Health Network (OSHNET) Conference in Siem Reap, Cambodia, where it won the Excellence Award. The Corruption Eradication Commission (KPK), after more than a decade in operation, said 12 regional leaders in West Java had been implicated in corruption. Indonesian police will release super-yacht Equanimity back to its rightful owner, Equanimity Cayman Limited, after the South Jakarta State Court ruled that the vessel was not linked to 1 Malaysia Development Berhad (1MDB), the New Straits Times Online reported. Malaysia is vulnerable to trade protectionism and unexpected tightening in funding conditions due to its high dependence on trade, according to a report by Moody’s Investors Service Inc. Although the 14th general election (GE14) is a significant overhang for the economy and markets, volatility can still present trading opportunities due to the nation’s solid economy, earnings growth as well as pent-up demand post-election. Malayan Banking Bhd (Maybank) is confident its online transactions will increase to 6.4 billion this year, following the newly revamped Maybank2u website, which will be launched to the public tomorrow. For about an hour on Wednesday, the website of Myanmar National Television carried a surprising report: A mass prisoner amnesty the previous day, it said, had included seven members of the country’s military who were briefly jailed for a massacre of Rohingya Muslims. Threats to press freedom in Myanmar are seriously challenging the country’s democratic transition. Restrictions on media have been exacerbated by outbreaks of communal violence in Rakhine State since 2012 that have led to the exodus of nearly 700,000 Rohingya Muslim refugees. Philippine President Rodrigo Duterte’s administration received an impassioned plea from within its ranks on the night of April 11. Philippine Business Bank (PBB) hopes to raise P5 billion as it continues to explore capital raising avenues to strengthen the bank’s balance sheet. Conservative Justice Neil Gorsuch cast a surprise vote in a decision released Tuesday favoring a Filipino immigrant fighting deportation, siding with the US Supreme Court’s left-leaning wing. Positioning Singapore as the “global Asia node of technology, innovation and enterprise” will be the next “critical” step in the country’s economic transformation plans, said Finance Minister Heng Swee Keat on Wednesday (Apr 18). A decision by the National University of Singapore (NUS) to start going fully cashless in August has been met with strong resistance by students, who started two online petitions that have garnered more than a total of 1,700 signatures as of 10.30pm yesterday. The top three finance and accounting positions in demand by Singapore employers this year are: financial planning and analysis managers, who can expect to earn a median salary of S$115,000; finance managers, with a salary of S$110,000; and tax managers, at S$130,000.